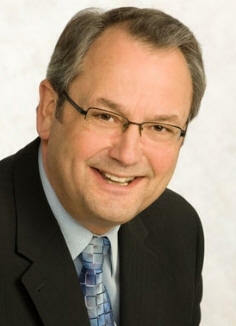 he Voice has received numerous positive comments regarding MLA John Les' planned departure from local politics. Apparently others in the community aren't surprised to see Les elbowing people aside as he makes a beeline for the lifeboats. Les has never directly contacted us with news for you. The NDP on the other hand, are in continual contact with us and their people bend over backwards to ensure our readers are well informed. The Voice backs MLA Gwen O'Mahony 110 per cent. Why? For starters we have dozens of e-mails directly from her over the years. She's personable, compassionate and above all available. What more can you ask from an MLA? As a pork barrel politician, Les was always great at snipping coloured ribbons, but was never seen slogging in the trenches with the rest of the community on any issue, at any rally, protest or even community meeting. He did, however, attend Metro's Waste-to-Energy dog and pony show a couple of years ago where he cited the Sumas Power project. But that rant was only for brownie points. The Sumas Power Project hasn't been on the radar for years. Regretfully, my experience with Les has been less than fruitful in terms of getting the news out to you. Over the past 35 years that I've worked in media, he has been the most difficult politician I've ever had to try and deal with anywhere, under a number of mastheads, in an assortment of communities. In 2013, this self-serving ivory tower politician will pack up his tarnished ego, and rich MLA welfare cheque, and head to the bank laughing. Rumour has it that speed merchant Liberal MLA Mike de Jong may be replaced by another Daddy Warbucks candidate in the Abbotsford riding and then end up being shoed into the Chilliwack riding to replace the outgoing Les. Today, Premier Christie Clark juggled her cabinet and gave the Finance portfolio to De Jong.